Looking for gifts for others, or yourself? Or a way to drop hints about what you want? CDM is here to help. Next up for digital musicians ready to give and receive: music with a conscience, and books worth reading, many suitable as stocking stuffers. In a year of trouble for many parts of the world, there are tracks in here that let us share solace. Music for Sudan: ASAP: The Afrobeat Sudan Aid Project, has already raised US$125,000 for an Oxfam-affiliated local charity in Darfur. Not only does it benefit people in the birthplace of Afrobeat, but each track is a treasure of rich music by artists like Antibalas, Kokolo, Akoya, and Tony Allen (featuring Fela Kuti). It’s the Live8 antidote, entirely assembled by African musicians. The spirit-lifting grooves cost only US$10. Read more on CDM, check out the official site, or buy it from iTunes and other music stores. Music for New Orleans: For a reminder of why music is vital in times of hardship, cue up any of the tracks on Our New Orleans, a new benefit release from Nonesuch. 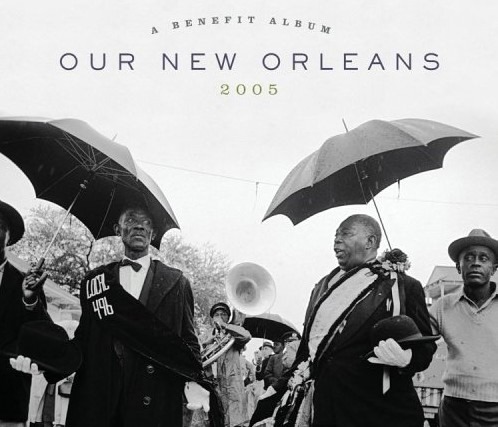 This isn’t just another benefit album: these are New Orleans musicians, singing and playing their souls out. That’s a lot of soul: artists like Eddie Bo, Beausoleil, Preservation Hall Jazz Band, Buckwheat Zydeco, Dr. John . . . I could go on. Read the album cover, and you’ll know this is a must-have. Sounds like home. Buy it from iTunes and other music stores. Indie Music Online: Our friends at Fake Science are rewriting the rules of online music purchasing: no DRM, low prices ($2 for a whole EP, $5 for an LP), and 60% of your cost goes directly to the artist or small label. If that sounds like music to the ears of someone on your list, the FS folks remind us that gift certificates are available in various denominations. How else will you hear Spycloud (below)? Gift certificates available on the right-hand side dropdown on the FS page. These books, all printed this year, seem tailor-made for the CDM audience (well, one by your editor-in-chief), so I can’t resist listing them here, especially as it’s nice sometimes to take a break from the pixels and look at paper. One of my favorite reads this year was The Art of Digital Music by David Battino and Kelli Richards. (Backbeat Books) David, editor of the O’Reilly Digital Media site, and Kelli, an industry insider and business and technology guru, talked to 56 artists and industry figures about digital music production, ranging from Ableton visionary and electronica artist Robert Henke (Monolake) to Thomas Dolby, Roland founder Ikutaro Kakhashi, and Herbie Hancock. It’s a really unique glimpse into the creative life behind digital music, and it’s one of those books you can just open to any page. Order the book/DVD set on Amazon or go check out details on the official site. We’ve taken a look inside your studios and other studios on CDM (try a search for studios for a rough idea). So it’s only appropriate that not one but two books for studio voyeurs would debut this year. First, there are the bedroom studios — see previous coverage on CDM of the new Bedroom Rockers book. For more serious studios, see Behind the Beat, a hardcover book plus CD that looks inside the creative spaces of hip hop producers from DJ Shadow to Young Einstein. (That’s the hip-hop version, not Yahoo Serious.) $30 buys you 320 color images, to inspire creativity and gear lust, plus musical tracks from the featured studio. Lastly, while I’m heavily biased and hate to shamelessly plug my own work, I have to share this one: my book, Real World Digital Audio should be shipping by Christmas, and I couldn’t be more proud of it. 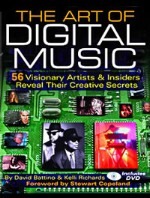 It’s a 600-page reference on making music with technology, plus a DVD of extra software and tutorial content. I just got my copies in the mail, and I’m thrilled with the work our team has done it, particularly Jim Aikin, who served as technical editor, and the staff at Peachpit on our production team who stuck with it and put out a book I’m excited to own. The other good news is, because I’m not writing it, I get more time to spend on CDM — and, better yet, music. Now, that’s a gift. More on the book once we know it’s hit shelves (hasn’t happened quite yet but should any day now). Want to shamelessly plug your book or album? Or tell us about some music or reading we’ve missed that you want? Hit comments, or email me.